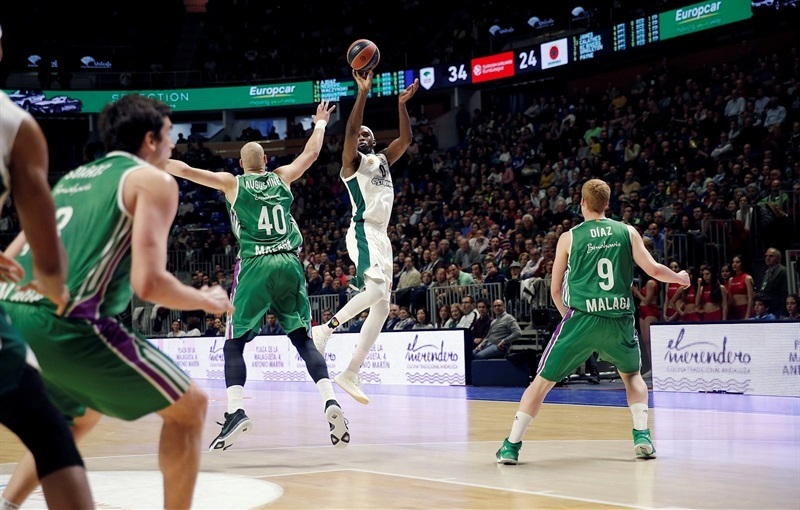 Panathinaikos Superfoods Athens broke its three-game losing streak in the Turkish Airlines EuroLeague Regular Season by downing Unicaja Malaga 79-90 on the road on Friday. 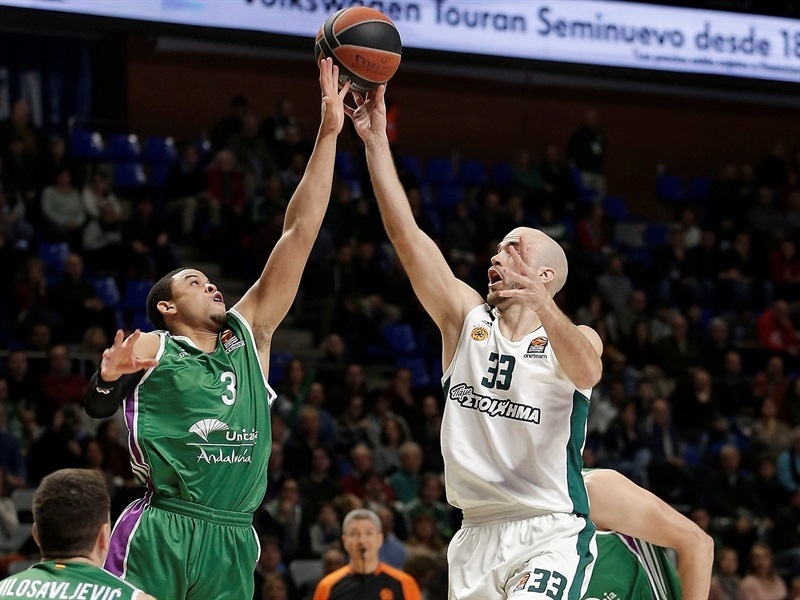 Panathinaikos improved to 15-11 in the standings while Unicaja dropped to 10-16. K.C. Rivers paced the winners with 24 points on 6-of-10 three-point shots. 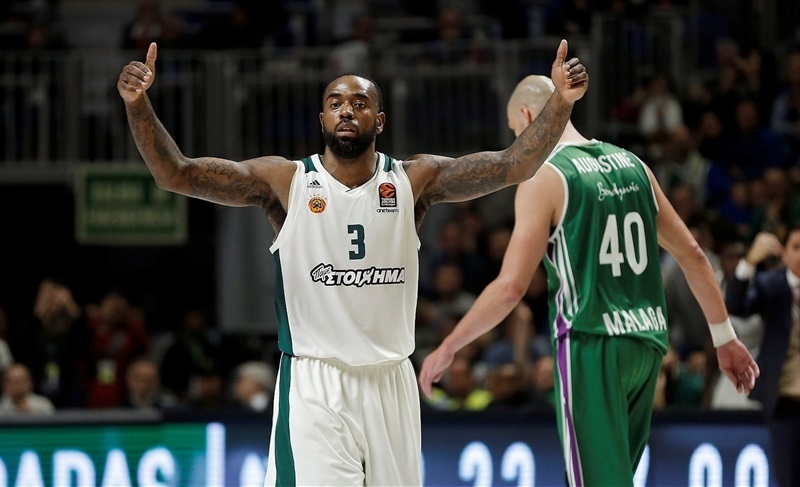 James Gist added 16, Nick Calathes had 12, 8 rebounds and 11 assists while Mike James, Chris Singleton and Lukas Lekavicius each got 10 points for the winners. Nemanja Nedovic led Unicaja with 19 points. Jeff Brooks added 14 while James Augustine had 11 for the hosts. 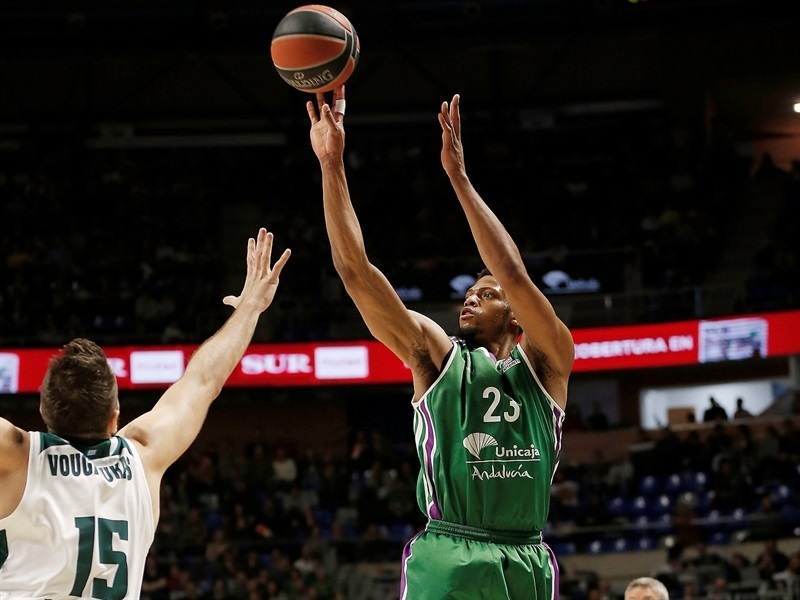 Ray McCallum and Nedovic shined early to give Unicaja a 19-14 lead and an outstanding Brooks allowed the hosts to extend its margin to 24-18 after 10 minutes. A three-pointer by Sasu Salin made it a double-digit game, 33-22, early in the second quarter. Adam Waczynski and Alberto Diaz joined the three-point shootout to keep Unicaja way ahead, 44-32, at half-time. James led a 0-9 run that gave Panathinaikos hope, 48-42, after the break. Gist and Thanassis Antetokounmpo brought the guests as close as 60-58 after 30 minutes. 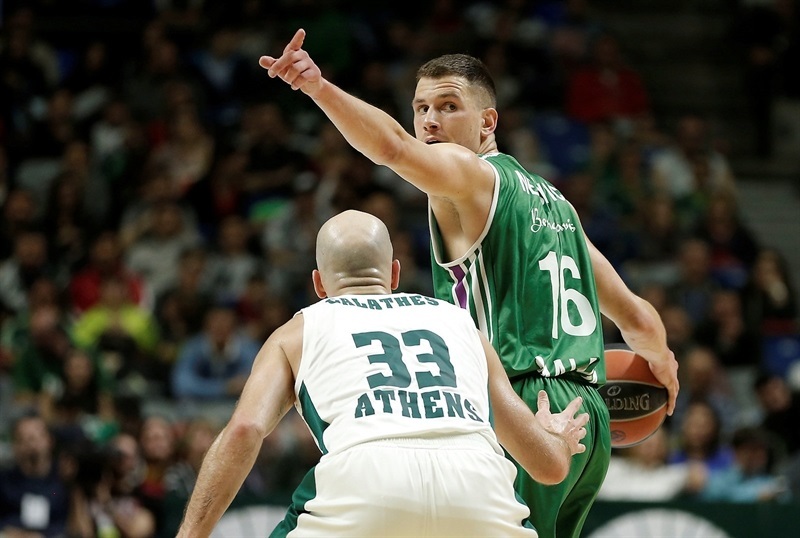 Lekavicius took over early in the fourth quarter for a 60-68 Panathinaikos lead, after a 0-16 run. He got help from Rivers and Gist to seal the outcome, 79-87, in the next-to-last minute. 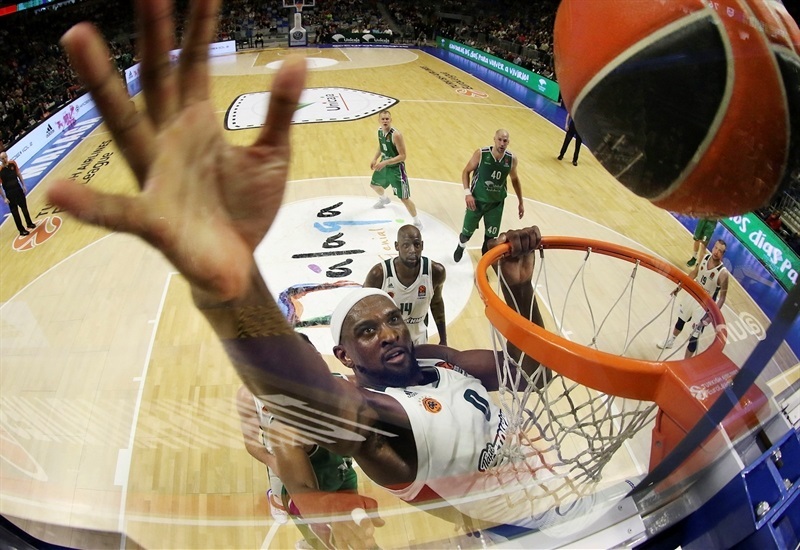 James Augustine got Unicaja going with a jump hook. Singleton and Dragan Milosavljevic traded three-pointers and a dunk by Antetokounmpo tied it at 5-5. 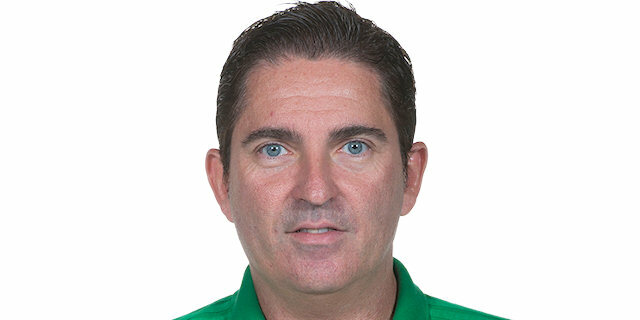 Augustine hit another jump hook, Milosavljevic added free throws and a jumper by McCallum gave Unicaja an 11-8 lead. 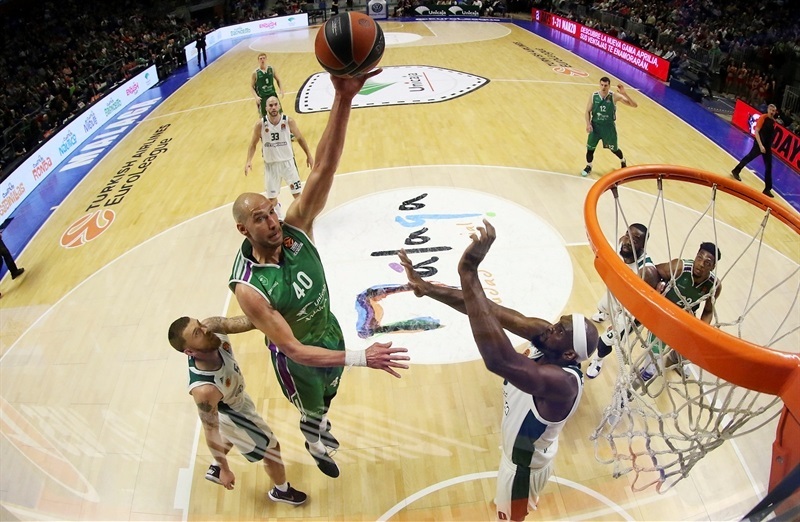 Calathes stepped up with a layup and James followed a dunk with a close basket but Nedovic and McCallum kept Unicaja way ahead, 19-14. 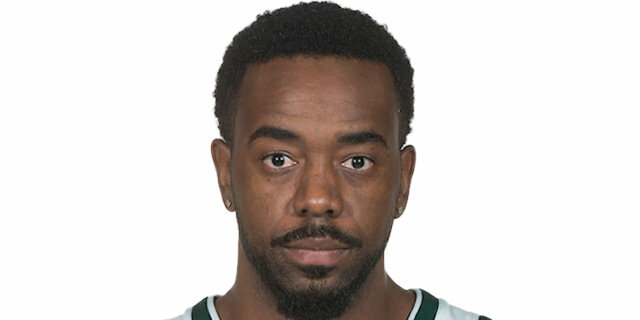 Brooks took over with a jumper and a three-point play but Rivers kept Panathinaikos within 24-18 after 10 minutes. Carlos Suarez hit a jump hook early in the second quarter. Viny Okouo followed a layup with a jumper and Salin struck from downtown to make it a double-digit game, 33-22. 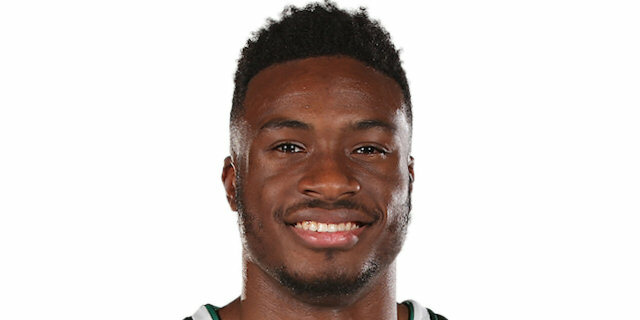 Calathes hit a floater and Adreian Payne added a layup but a three-pointer by Waczynski and free throws by Nedovic boosted the hosts' lead to 39-26. Gist took over with a tip-in, Singleton scored again and Rivers hit a jumper but foul shots by Nedovic and a triple by Diaz fixed the halftime score at 44-32. Gist scored down low after the break but a put-back layup by Brooks and a driving basket by Nedovic made it a 14-point game, 48-34. James scored twice to ignite a 0-8 run which Singleton capped with a layup for a 48-42 score. 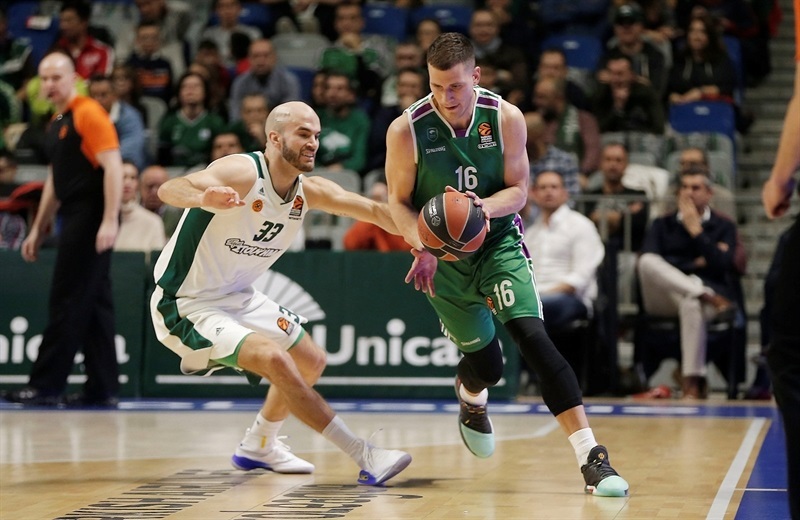 Augustine hit a floater, Rivers and Milosavljevic exchanged triples and free throws by Nedovic gave Unicaja fresh air at 55-47. Rivers hit a triple and a layup by Gist made it a three-point game, 55-52. Dani Diez made free throws and Diaz hit a three-pointer but an unstoppable Gist and Antetokounmpo brought Panathinaikos even closer, 60-58, after 30 minutes. 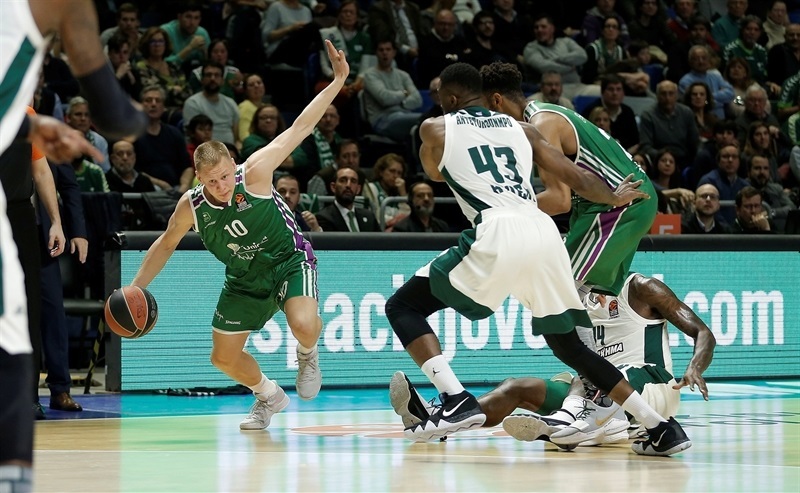 Lekavicius hit the go-ahead triple and added a layup for a 60-63 Panathinaikos lead. Calathes added a layup and a triple by Rivers capped a 0-16 run for a 60-68 advantage. 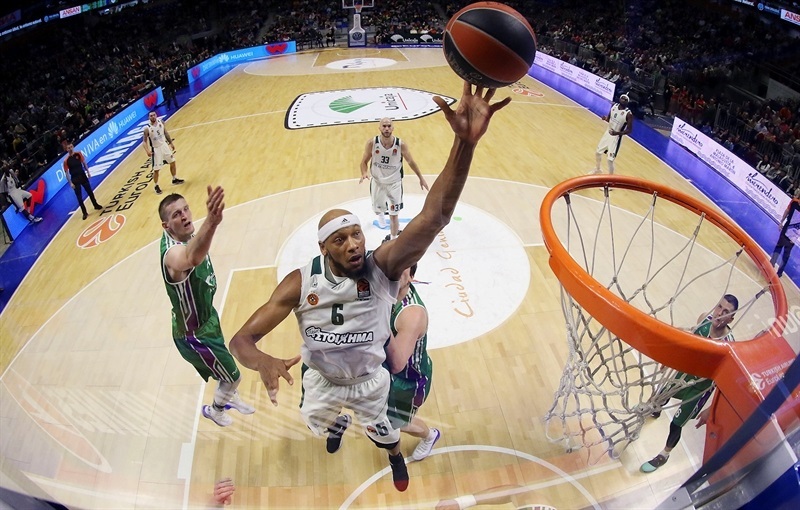 Augustine and Nedovic came back for Unicaja, Brooks downed a three-pointer and a layup by McCallum tied it at 72-72. 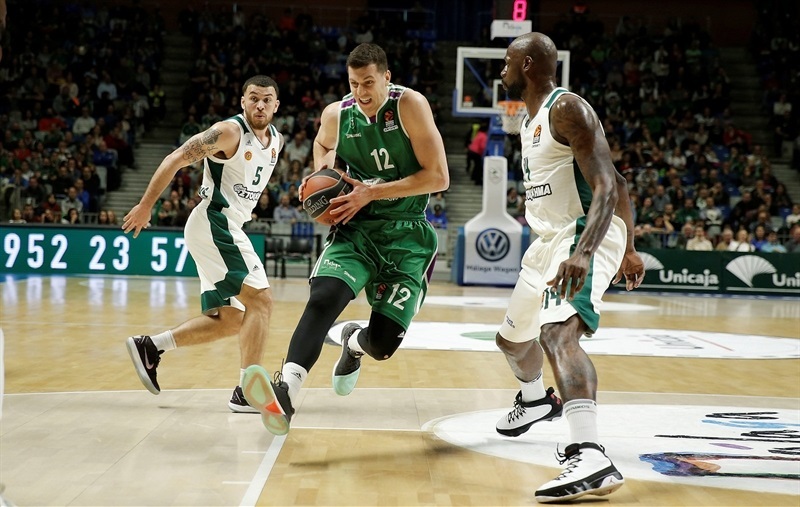 It didn't last long, however, as Lekavicius buried a triple and Rivers struck twice from downtown for a 74-83 Panathinaikos lead with three minutes left. 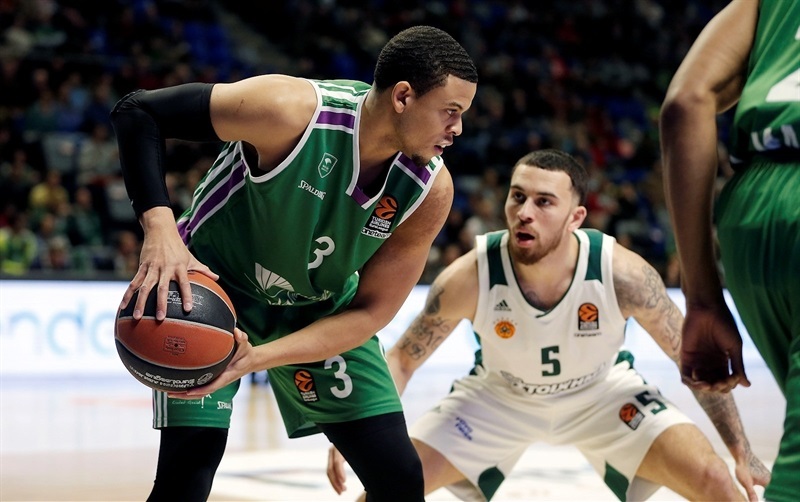 Brooks and Nedovic got Unicaja within 79-83 but Gist followed a layup with a slam to seal Panathinaikos's win down the stretch. 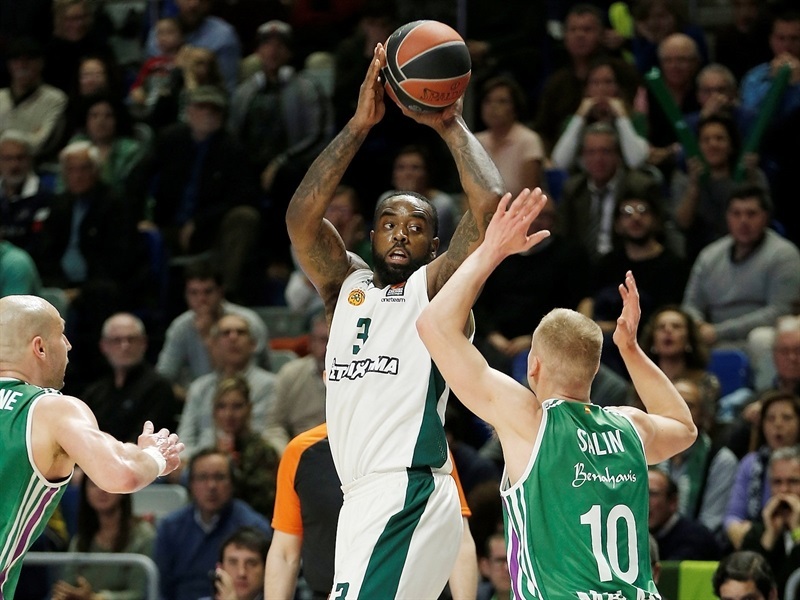 Both teams play at home in Round 27 - Panathinaikos hosts Crvena Zvezda mts Belgrade on Tuesday and Unicaja welcomes FC Barcelona Lassa on Wednesday. "I think we had a good start of the game, with a good shot selection and without many turnovers overall - in the first quarter, we may have had some which didn't allow us to break the game. Even with that, at half-time, they had scored 70% of their two-point shots and it is obvious that the scenario changed after that. They raised their aggresiveness and physicality and that changed everything. When they were more aggressive, we made a poorer shot selection and a very poor defensive balance, all game long. We received 33 fast-break points. We didn't lock our defensive board, allowing them to get second-chance options, dunks and some three-point shots. We were bad on defense, especially in the fourth quarter in particular. Not only we didn't play good defense, but we didn't even use fouls to avoid easy baskets. They deserved to win in the end and there is nothing else to say." "Of course, we are very happy to get this win tonight. We played too fast in the first half and made a lot of mistakes on offense. We committed a lot of turnovers and even when we played well, we missed a lot of open shots. Hitting just 1-of-14 three-point shots in the first half hurt us a lot. We changed the course of the game in the second half, starting with defense. I believe that our second half allowed us to be the fair winners in a very, very important game for our playoffs chances. A big part of our game is being effective. 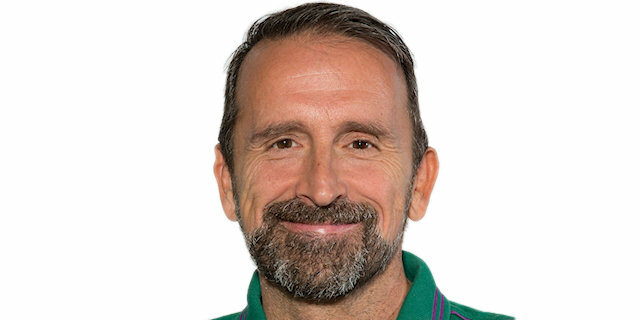 If you generate advantages but when you get the open shot, you don't score, you look like you are not playing well because you are not scoring. Added to the fact that we had six turnovers in the first half, those were the keys for us to fall a bit short in scoring. On the other hand, we took better care of the ball in the second half, picking up just two turnovers, and were much more effective. This is why everything changed." "We completely changed the way of the game. First of all, we played better on defense and after that, we could score in fast-break situations and felt the game through our defense. I think we also played excellent on offense. We scored the open shots that we didn't score in the first half and this is why we took this important win. We have to go game by game. We have a double week coming up. First of all, we have to think about Crvena Zvezda and after that, to continue. It is the only way to do something great." "We gave all our energy and we managed to get back into the game. We have to play good defense to be good on offense. In the way we played defense, we managed to recover. This victory is purely psychological. Now we have four finals remaining and we have to try to win them all." "I am extremely happy because we needed to come out and really have a good second half, and that is what we did. We put ourselves in the position to take over the game and we did it in the fourth quarter. I am proud of these guys because we were resilient tonight and really fought hard. That is the way we played for 40 minutes, not just 30-33 minutes. We need to play like that for 40 minutes and this is what we did this time."